Serena Donne, one of the founders of Brand Breakfasts, shares her thoughts on our January event. Engagement is the most important measure of brand strength. 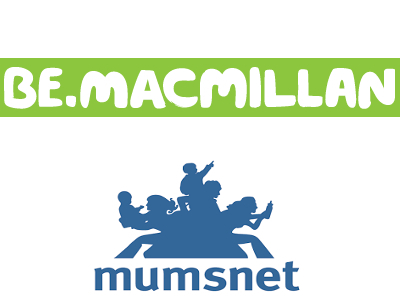 Macmillan Cancer Support and Mumsnet.com are two organisations with fascinating insights on how to use the web to engage their supporters, and the additional strength this interaction gives their brands. First up to discuss the much admired and emulated be.Macmillan were Carly Wilson and Sophie Munro-Faure. If you're not familiar with the site, it's an online community where users can interact with Macmillan's services and brand. With 1,000 templates, 700 cancer information pieces and numerous fundraising ideas it would be hard not to feel engaged by be.Macmillan. I was particularly struck by how it's so much more than just a digital asset management and merchandise system. Central to Macmillan's 2006 rebrand was the desire to create a "movement"; the result is a relevant and useful experience. For the site's 70,000 users it reflects the ethos of "letting go of the brand" to enable more people – be they staff, supporters or beneficiaries – to use it and feel a part of the "we" in "We are Macmillan Cancer Support." The future of the site will address the on-going demand for personalisation by delivering relevant content for the individual. It was refreshing to hear of a charity that understood the importance of investing resources into brand in 2006. be.Macmillan is a great case study, and sets the bar for online brand management centres. Next up was Carrie with the story of Mumsnet, the UK’s busiest social network for parents. Mumsnet was started in 2000 after co-founders Justine and Carrie gathered opinion on what type of holiday would be best with a newborn. Advertising revenue was soon realised, TV show appearances beckoned, PR (good and bad) took place and canny partnerships were formulated – the rest is history! With the voices of one million unique users per week, a genuine community of mothers has been born. Mumsnet shows the "wisdom of crowds" at its best. Thanks to Breast Cancer Care for providing the venue. Check out details of our next Brand Breakfast.